Swimming is a popular activity, especially during the summer months. When the crowds start arriving to escape the heat, swimming pools become increasingly contaminated. Bathers transfer sweat, dirt, oils, and sunscreen into the pool water, impacting pool chemistry. Other contaminants emerge from the surrounding setting, like leaves and insects. Contaminants may be categorized as physical, chemical, or biological. Physical contaminants, which are visible to the naked eye, are filtered out by a mechanical system. Chemical contaminants, such as the compounds found in sweat and sunscreen, are oxidized by chlorine. Chlorine is also used to destroy biological contaminants such as microorganisms living in the pool. Some examples of these microorganisms can be algae and disease-causing pathogens. The condition of the pool water declines as contaminant particle load increases. Odor, discoloration, and algae growth may arise if contamination is not properly addressed. Moreover, contamination by pathogens can cause infections and irritation for bathers in the pool. To ensure that the pool water remains clean and safe, it is important to maintain adequate chlorine levels as well as a high functioning filtration system. How do pool operators recognize when the chlorine in the pool needs to be adjusted? A typical pool chemistry maintenance system monitors pH and ORP as indicators of sanitizing chemical activity. 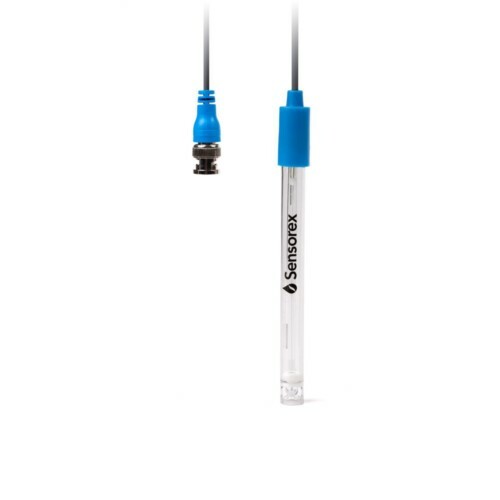 Sensorex offers tools for both pH monitoring and ORP monitoring. Chlorine disinfects pool water by reacting with contaminants via oxidation processes. These chemical reactions produce either combined chlorine or chloramines. Unlike free chlorine, combined chlorine is not an effective sanitizer. As free chlorine in pool water is consumed through sanitization, it is critical to monitor the remaining concentration of free chlorine available. Free chlorine exists in two basic chemical forms: hypochlorous acid (HOCl) and hypochlorite ion (OCl-). Hypochlorous acid is the most effective form of free chlorine for disposing contaminants. Some pool operators utilize DPD test kits in order to monitor chlorine concentration in pool water. However, DPD – a chemical that reacts with chlorine to produce a red color – does not distinguish between free chlorine and combined chlorine. Since hypochlorous acid and hypochlorite ion are forms of free chlorine, DPD test kits do not provide information on the relative concentrations of these sanitizers. The easiest way to accurately measure and adjust chlorine for thorough disinfection is by monitoring ORP. ORP (Oxidation Reduction Potential) readings are a measure of the sanitization activity of chlorine. The ORP value is highly sensitive to fluctuations in hypochlorous acid, because HOCl is the form of chlorine that is the most powerful oxidant. A complete pool water monitoring system typically includes a pH sensor, an ORP sensor, and a controller. The controller adjusts the amount of chlorine and other chemicals added to the pool based on inputs from the pH and ORP sensors. This type of set up, illustrated in more detail below, is ideal for automatic adjustments, as factors such as sunlight and bather load fluctuate monthly, daily, and even hourly. Due to the large amount of plastic piping in typical pool systems, proper grounding is essential to prevent sensor inaccuracy and extend lifetime. 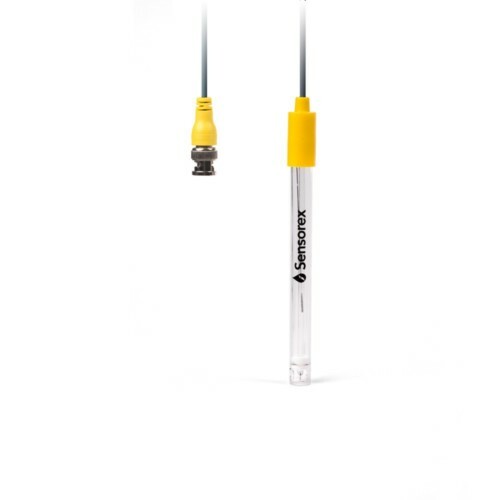 Stray electrical current will be attracted to the sensor if the system is not properly grounded. For pool technicians who are responsible for multiple sites, a portable monitoring solution is essential. The SAM-1 Smart Aqua Meter enables technicians to monitor the pool pH and ORP with an iPhone, iPad, or Android device while on the go. Switching between the ORP and pH measurement modes takes only seconds for the user. The SAM-1 automatically recognizes the sensor type plugged into the headphone jack and loads appropriate calibration data. Notes and GPS locations can be appended to data, allowing monitoring at several sites in a single day. Data is easily exportable in both spreadsheet format and via email for data analysis and record keeping. 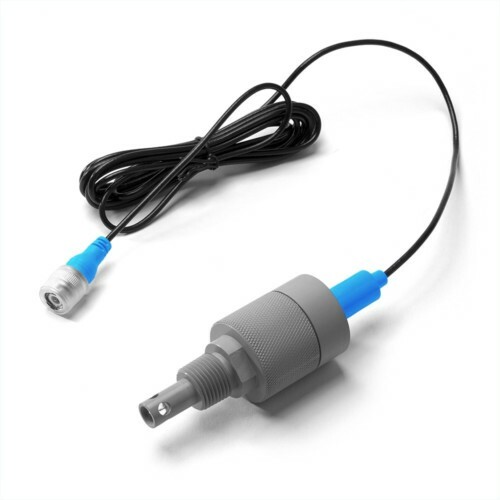 If your pool chemistry monitoring system has already been operating for some time, you may need replacement sensors. 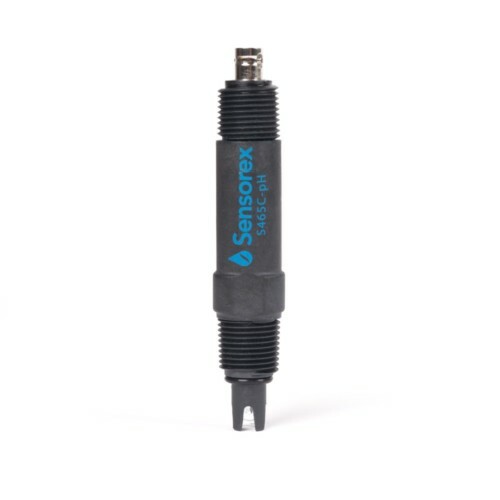 Sensorex offers a range of direct fit replacement sensors for pool and spa applications. 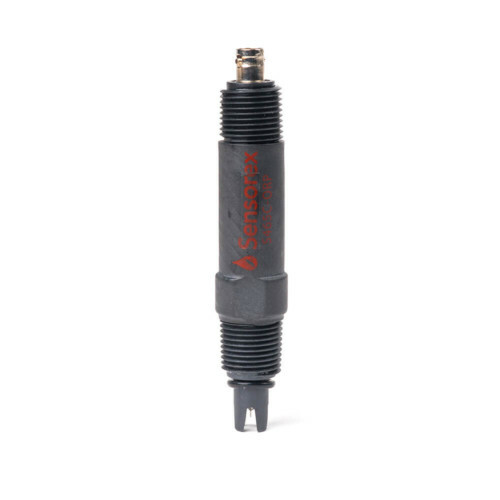 To find the right sensor to retrofit your system, use our pool sensor manufacturer cross reference guide.